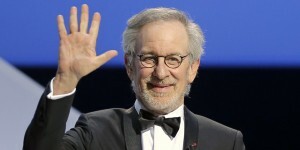 Steven Spielberg Movie in Need of Boy for Lead Role on Nickelodeon | Auditions & Casting Calls for 2019. The movie will tell the the true story of Edgardo Mortara – a 6 year old Jewish boy from Bologna who was reported to have been secretly baptized by a maid, and was deemed by the Catholic church therefore to be Christian. Pope Pius IX (to be played by Mark Rylance) decreed that the boy could not remain with his Jewish family. He was seized by the Papal State and taken to the Vatican where his indoctrination into Catholicism began. This was a cause célèbre of mid-nineteenth century European politics and the domestic and international outrage against the pontifical state’s actions may have contributed to its downfall amid the unification of Italy. This is an incredible story of real historical relevance. Casting directors are looking to fill a boy ages six to nine years old to portray a six year old. They are seeking a boy who appears to be a Jewish Italian child. They are seeking kids nationwide except for in the areas of New York and Los Angeles (different casting directors are handling those roles). This is a SAG paid movie. EDGARDO — BOY age 6-9 to play 6 years old. This is a unique and very challenging part for a truly special boy. The story deals with the complexity of an extremely intelligent and gifted child’s situation – his desire to return to his family and the faith of his ancestors, pitted against his ability to learn the Catechism and engage with the Pope on a level far beyond his years. HE SHOULD APPEAR TO BE A JEWISH ITALIAN child. We are not looking for any kind of Italian accent. LEAD. To submit: Email delisicreative@gmail.com. Subject line: EDGARDO SUBMISSION / Name of boy, your agency (if you have one), city/state. Body of email: Your agency contact info, boys name/age/d.o.b, city/state of residence, along w/current non retouched photos. If you want to include a brief introduction, bio or resume, please do! Edgar needs to be highly intelligent…. please note any related, special, or fun facts so they get to know him! If your child fits the role and you think they could handle a lead role, submit them today!